The American Association of Physicists in Medicine was founded in 1958 to promote the application of physics to medicine and biology, to encourage interest and training in medical physics and related fields and to prepare and disseminate technical information in medical physics and related fields. 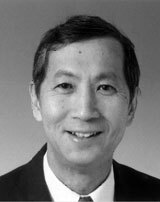 The AAPM's highest honor is presented to a member who has exhibited a distinguished career in medical physics, and who has exerted a significant impact on the practice of medical physics. The Achievement Award denotes outstanding career achievement in medical physics practice, education, or organizational affairs and professional activities. The category of Fellow honors members who have distinguished themselves by their contributions in research, education, and leadership in the medical physics community.